The Middle Eastern and North African Dance Initiative for Cultural Diplomacy - Raqs Without Borders 2019: MENA dance festival in NYC: 08/24/19-8/25/19. Registration is now open! Torkom Movsesiyan has been trained by such Middle Eastern dance legends as Morocco, Raqia Hassan, Amel Tafsout, Tarik Sultan, Sabuha Shahnaz, Tayyar Akdeniz, Joe Williams, and many others. Torkom currently teaches and does academic research on the trajectory of Middle Eastern dance, also known as Raqs Sharqi, at the Middle Eastern Dance Initiative for Cultural Diplomacy, a subdivision of TORKOMADA, Inc. -www.torkomada.weebly.com. Torkom Movsesiyan has been featured in the Daily News, Time Out New York, and The Indie Flava Magazine. 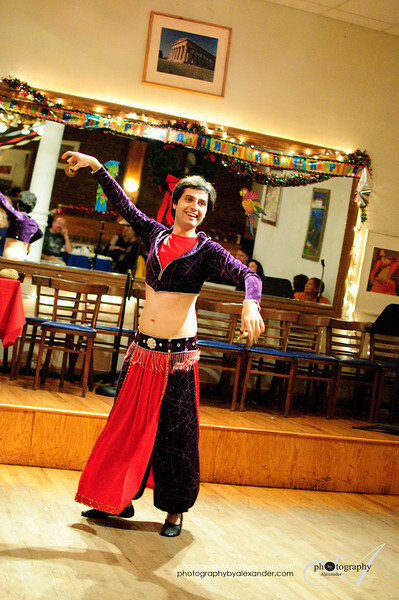 He performs and teaches authentic Egyptian style, Raqs Sharqi, in New York and around the country. He has appread in numerous dance shows at Lincoln Center, The Lafayette Bar & Grill, The Tagine Dining Gallery, The Sullivan Room, art galleries, private events, and family celebrations. Middle Eastern dance teacher, scholar, performer, choreographer, finger cymbal player, polyglot, accent reduction coach, acting career coach, speech/diction coach, foreign language teacher, entrepreneur.